One of the great benefits of keeping bees is beeswax. Beeswax has a long history and its uses are legion. We use it to keep things running smoothly – such as fixing door hinges and swing mechanisms. They also make lovely candles with a beautiful aroma as they burn. However we get the most use out of beeswax as a timber and leather preservative. 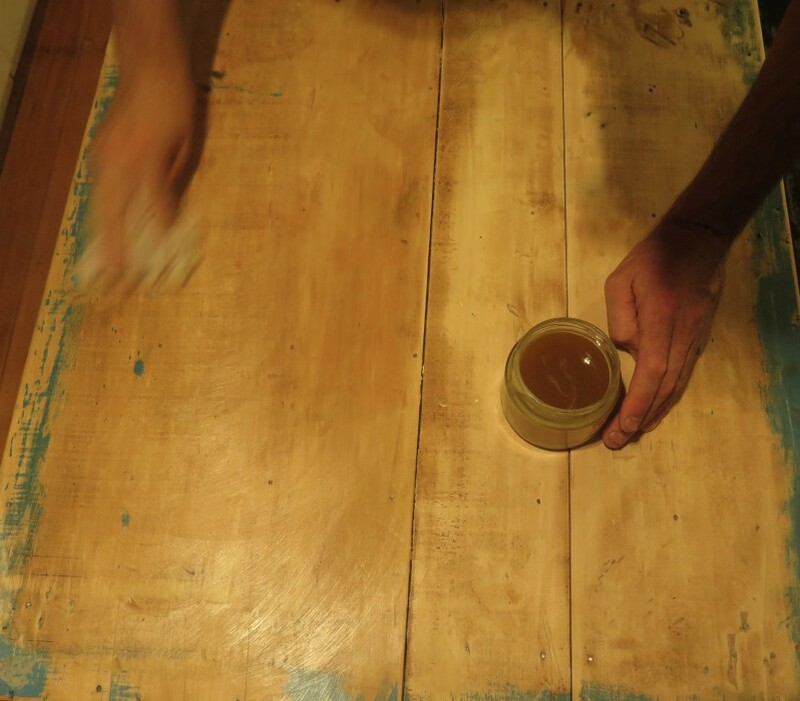 Variations of beeswax furniture polish line our shelves and are used to seal our woodwork, polish our boots and treat our beehives. 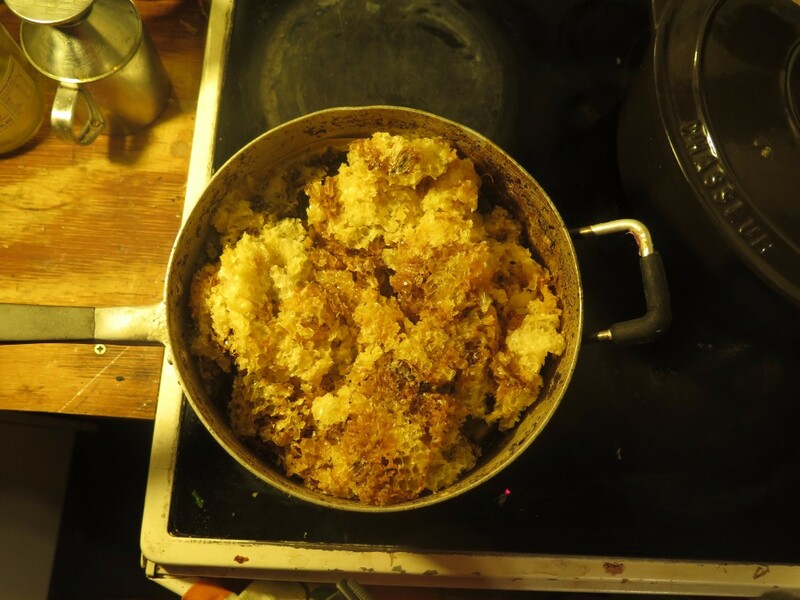 As top bar beekeepers we have a lot of crushed beeswax. 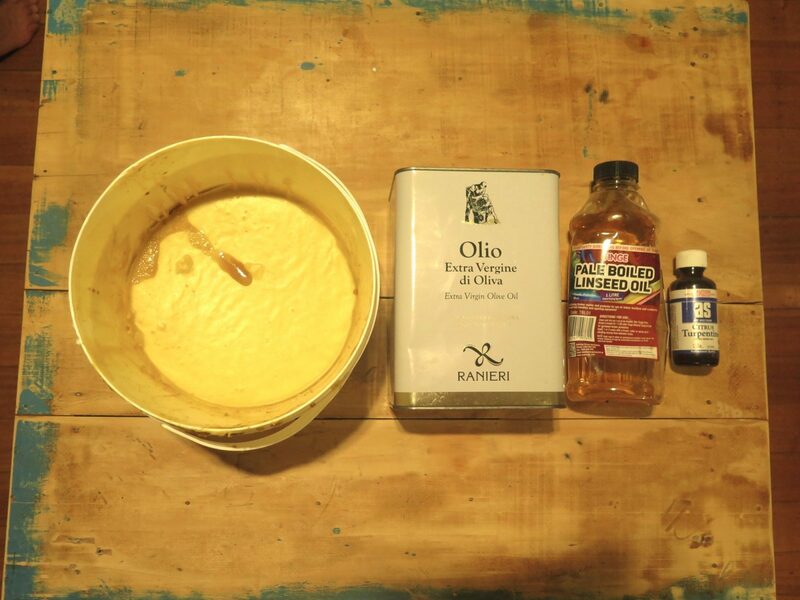 To turn this into pure wax we do the following steps. Please excuse the quality of the photos – we made it at night time while our daughter slept and the lighting was bad. 3. Let cool. The wax will solidify on top. 4. Drain the water off the bottom. 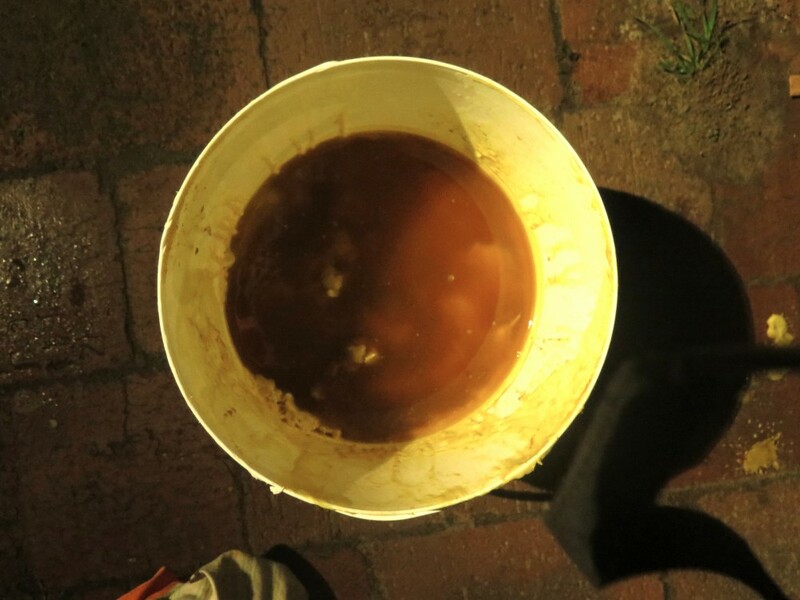 If the wax was fresh this honeyed water can be used to make mead (that’s a whole other blog). 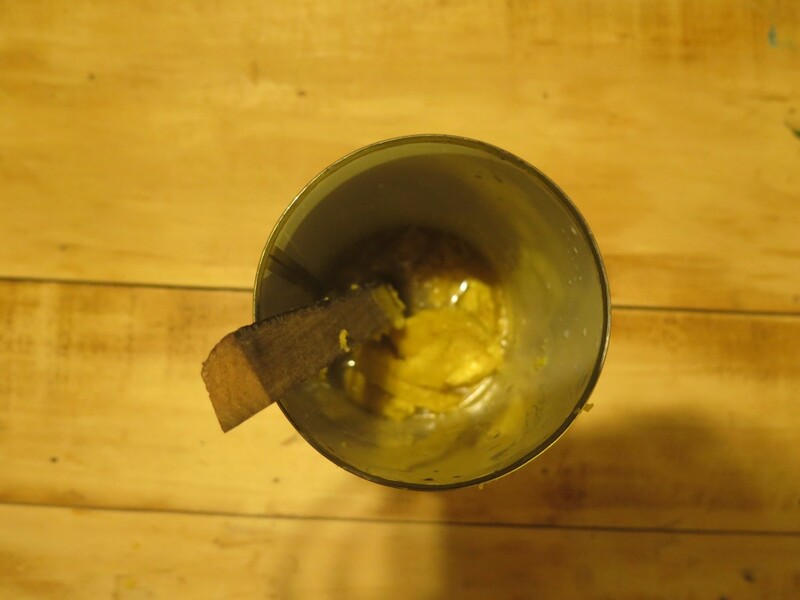 Beeswax –This forms a durable coating. Limonene – Citrus Turpentine – we use this as a thinner. Linseed oil – This oil penetrates wood and hardens. Unboiled is better but I use what’s on the shelf. Olive Oil – We use this as an extender to make the polish more workable. There are many, many recipes with variations of proportions of the above ingredients available on the internet. The final product can be a liquid, cream/paste or a solid block depending on the proportions of each ingredient. The exact proportions in each recipe mentioned are not critical. Vary the amounts of each ingredient to suit yourself. Remember, the more Limonene or olive oil you add, the more liquid will be the final product. Mix all ingredients in an old can. 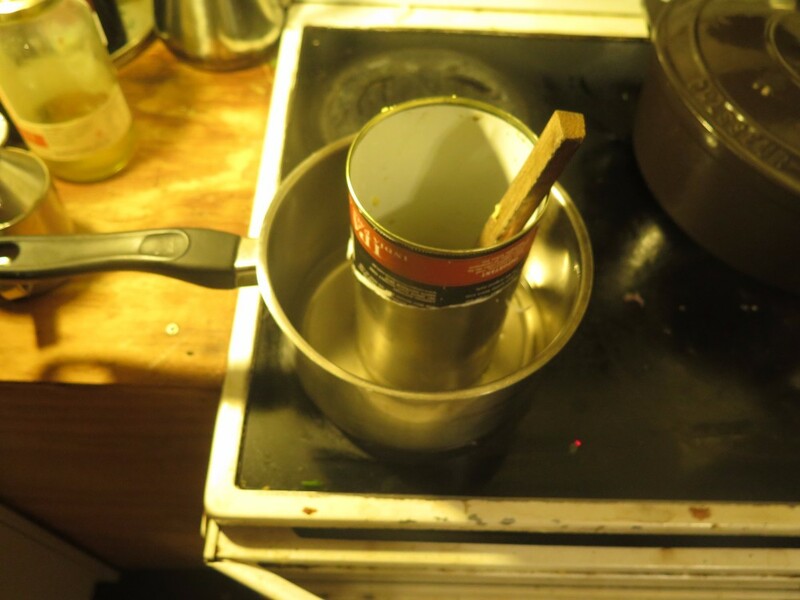 Heat the can on a double boiler (i.e in a saucepan of water), This prevents overheating and the chance of fire (did i mention all the ingredients are flammable). Mix them together to form a paste. Let it all cool down and use as a polish. We have also used a recipe based on olive oil. The proportions are below and the process the same as above. This makes a “creme” type polish. 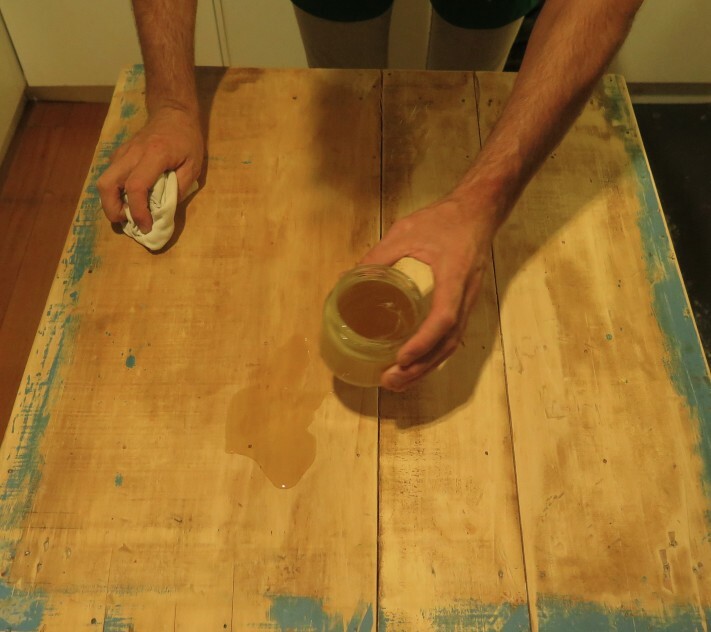 This recipe is more suitable for the regular touch ups around the home to give timber back its special shine. This blog was written by Anton Vikstrom, he’s usually working outside or inside doing things like making furniture polish. Every now and then I squeeze blog out of him too. Our Permaculture Design Course: A Student’s Insight! 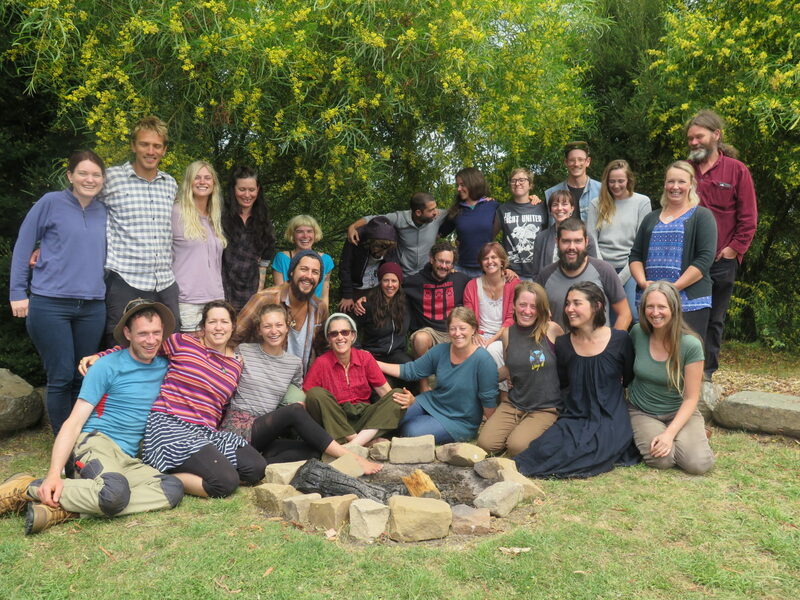 Every permaculture design course (PDC) we run we always offer at least one full scholarship to make sure we support people who need it most to access this training. 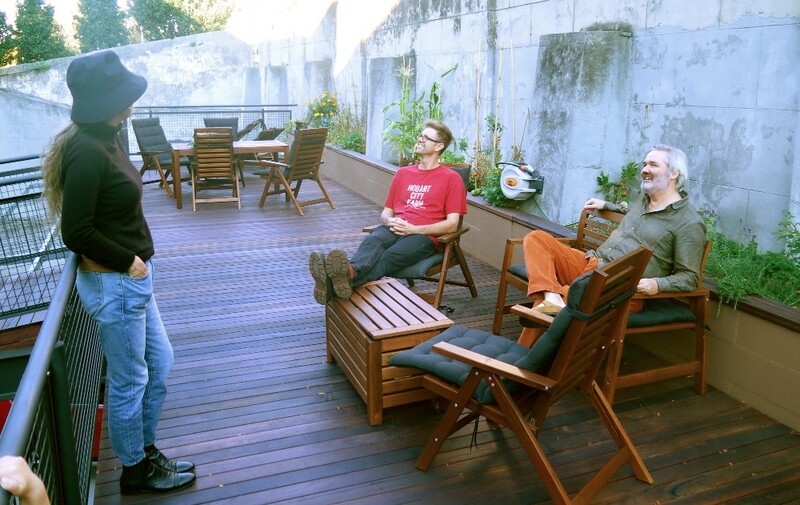 On our last PDC Permaculture Tasmania also sponsored someone to come along – how fantastic! Meet Shane and read about his experience below. Shane working hard on his group design project and fellow student, Ryan working in the community garden we hold this course in. “I recently completed a PDC with Good Life Permaculture at Okines Community Garden/Centre at Dodges Ferry just out of Hobart. It was a great educational and totally engaging experience which brought together excellent teachers in their fields, and a group hungry to absorb all that was given to them. The course brought together people from a range of countries and diverse backgrounds who left with many new friends and a direction to move in. The venue too was a great choice, showcasing how the local community can be brought together with great initiatives which seek to be inclusive of all. I had previously completed a PDC with Bill Mollison and Janet Millington back in 2002 and then a family came along and a mortgage and I sort of lost my way a bit. I had always kept in touch with what was going on, and I have used this course as a chance to get back on the horse and gain some new inspiration and direction. I believe this course also helped me with my own confidence, being able to say what one thought without being judged on personal values was a great feeling in itself. I had always thought I’d had a pretty sound knowledge of permaculture systems, this course however with its fabulous teaching staff helped to flesh it out even more for me and hammered home the point that permaculture “is not just about gardening”. That being said it was awesome to go check out and learn from some great permie ‘gardeners’ on the field trip. The importance of applying the ethics and principles as much as possible without being a ‘permacultist’ was also duly noted, no-one is perfect but it’s worth giving it a good crack. Something really important I had forgotten was to start from zone 0/1 and work outwards, it would have made my life a whole lot easier! Now I’m back in “real life’ and looking for a change. I’m helping out at a new community garden we’re are about to start in St Helens (NE Tas), the fence is up and we’re getting into a bit of planning using the knowledge I gained from the course. We will be taking on a work for the dole program there and aiming to provide education, training and health driven outcomes for members of the community, and pass on the permie bug! Hopefully I can encourage more members of my local community to think more deeply about the impacts we all can have and make them positive ones! Finally, I fully encourage anyone who is wondering about their place in the world to look into permaculture, be inspired, take a course and pass on the knowledge you gain. If your teachers are half as good as these guys you’ll still find it a positive life changing experience. Thank you Shane! Thanks for coming, for investing your time and energy into working out the nuts and bolts for how you can make your own positive impact in your own and your community’s world. Onwards and upwards! Interested in doing your own permaculture design course? Join us this Jan 19 – Feb 2 in southern Tasmania for a life changing and affirming learning experience! 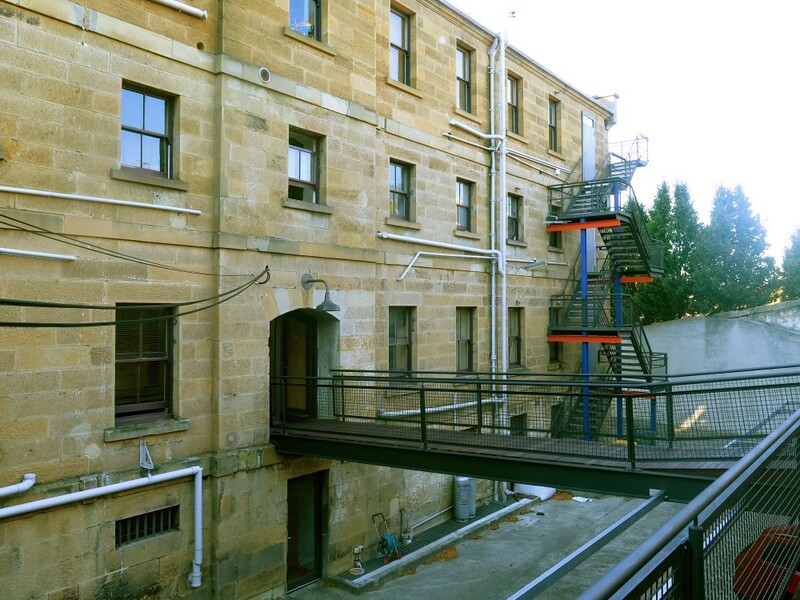 While Hobart’s a tiny city compared to some, it still has dense inner city living happening. 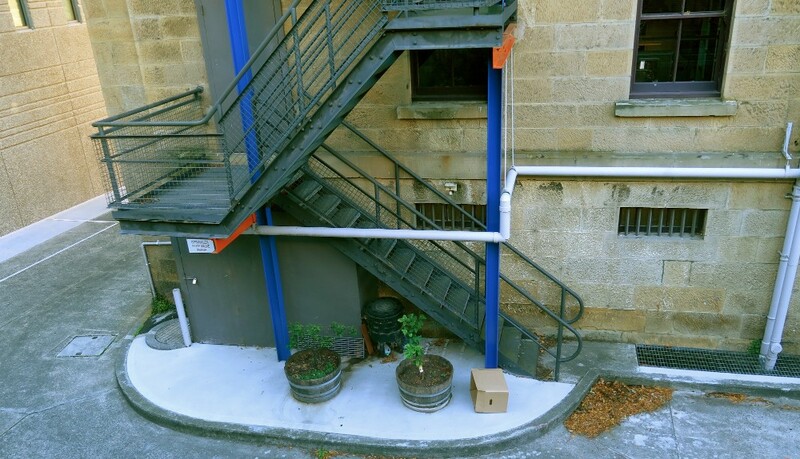 Some of our friends (David and Frances) live in a beautiful heritage building in central Hobart and while they’ve love it they’ve long hankered for some garden space beyond their pots of herbs. Being the wonderful people they are, they eventually managed to get the rest of the body corporate equally as excited in the idea and after much planning they now have this. 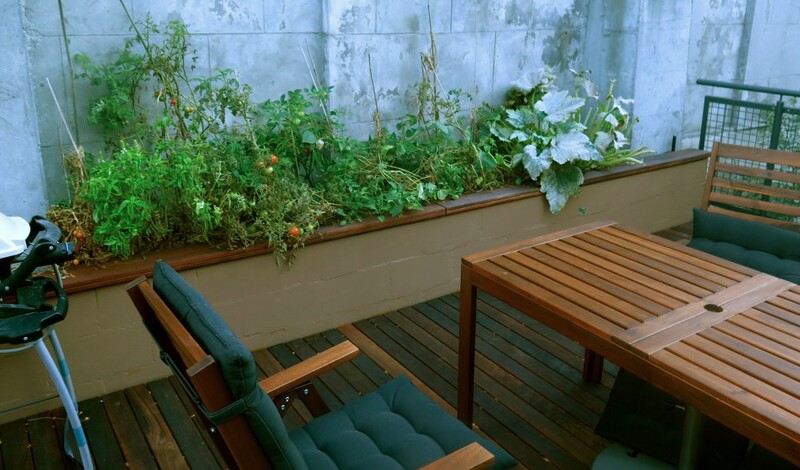 And while you can make the observation that it’s more balcony than garden this is enough for their context and capacity. Water: After having a brief chat to us in the planning stages we recommended they explore having a wicking bed system, which they went with. The whole long veggie garden is one big wicking bed meaning it’s water efficient and easy to maintain. Clever. Community: Both David and Frances have been over the moon with the more invisible outcomes of the garden. Socialising with the other body corporate members has massively increased. 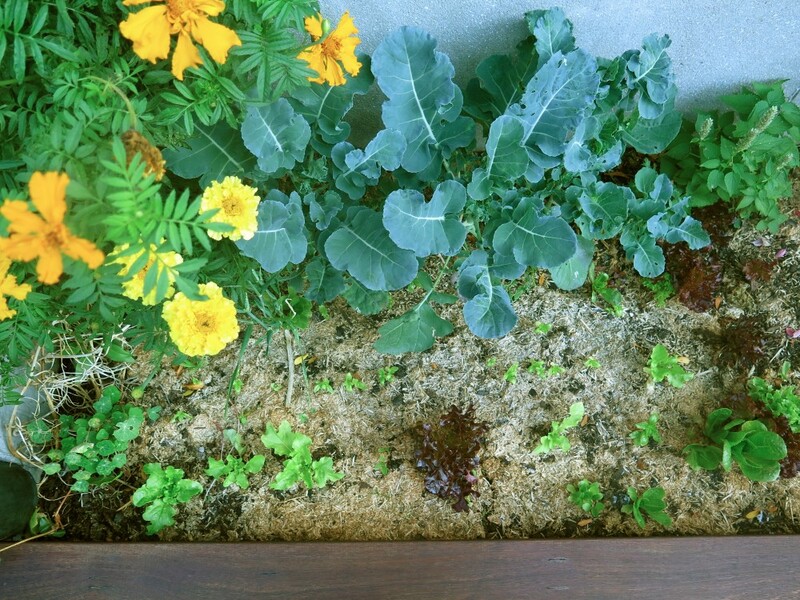 The garden’s not just growing food, but it’s growing community. 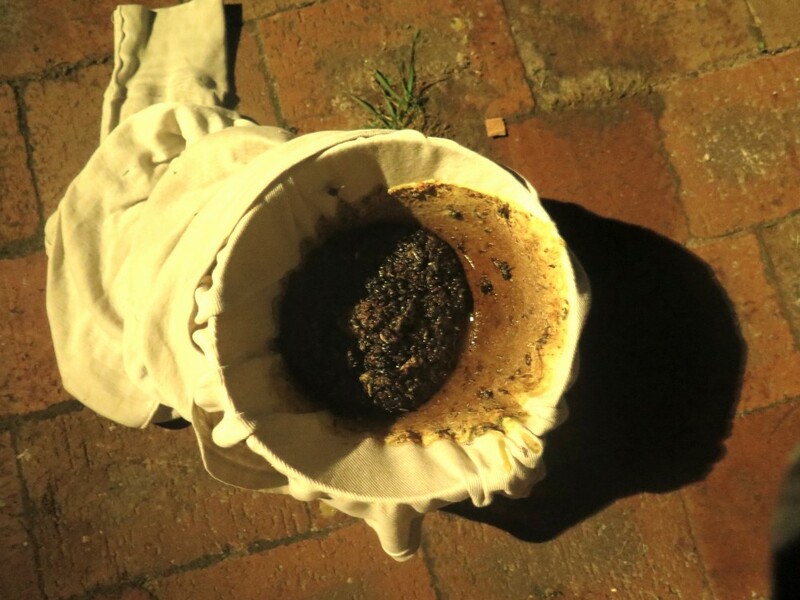 Waste: Currently David and Francis have one small worm farm beneath their stairs (along with some citrus trees). On our recent visit they mentioned they want to expand this significantly so other residents could add their food waste. We think a series of worm farm seats could do the trick (watch this space). The small worm farm hiding beneath the stairs for processing food waste. David and Frances think they’ll probably stay here forever now – it seems to have completed their idea of what a good home is. 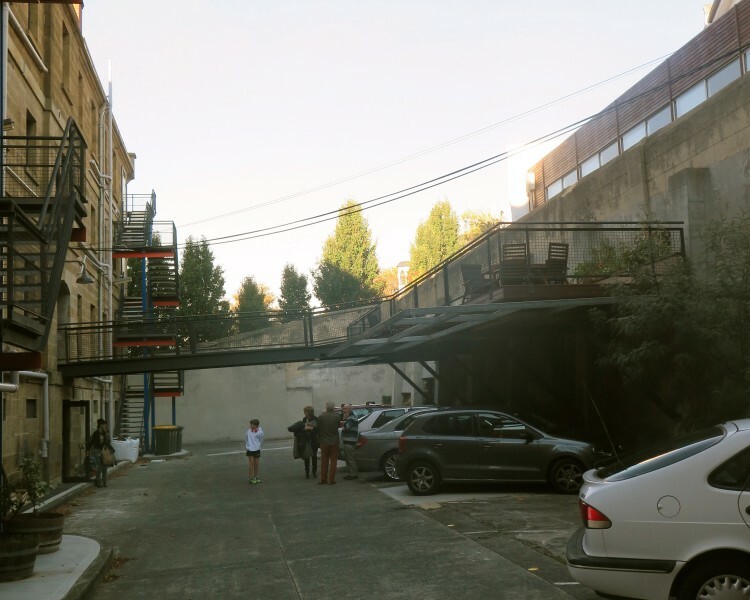 It’s amazing how some clever design thinking, a touch of gumption and community can transform spaces. Future plans include planting some additional fruit trees at the car park level, adding some more compost facilities and I’m voting for some passionfruit vines along that hot concrete wall directly above the annual veggie beds! 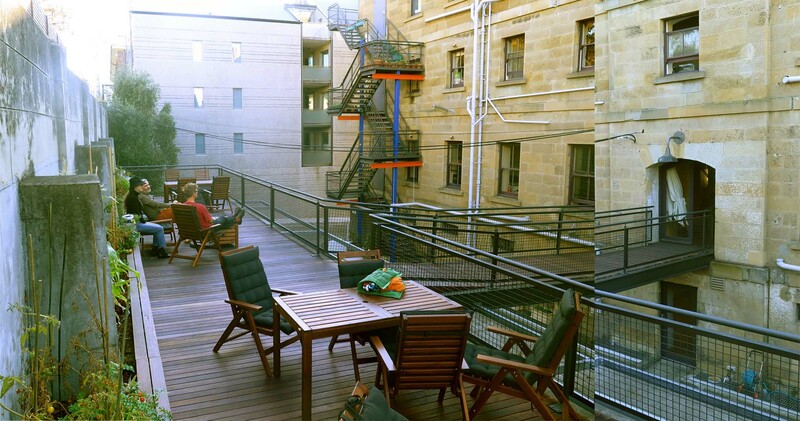 * This balcony garden was designed Hobart structural engineer Jim Gandy.